You are here: Home / Blog / unicorns / Unicorn Maze – Printable and FREE! Unicorn Maze – Printable and FREE! Do you have a unicorn lover in your house? 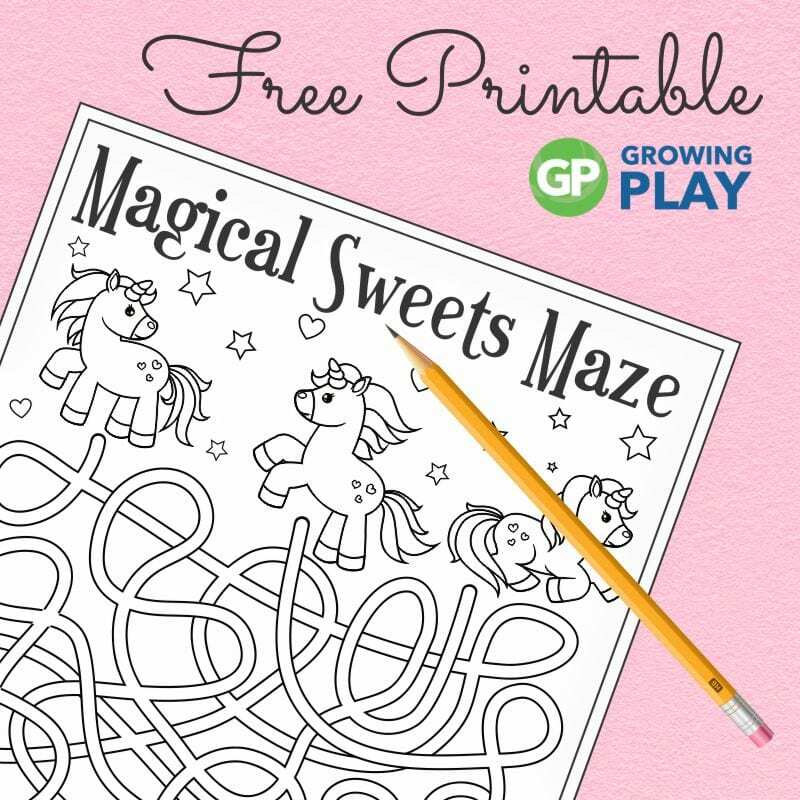 Check out this FREE unicorn maze printable that you can download at the bottom of this post. Lots of people LOVE unicorns these days. There are unicorn birthday parties, unicorn drinks, unicorn stuffed animals, the list goes on and on. So it isn’t surprising that people would like a unicorn maze. In this Magical Sweets Maze, you need to find out which unicorn will eat which magical sweet. 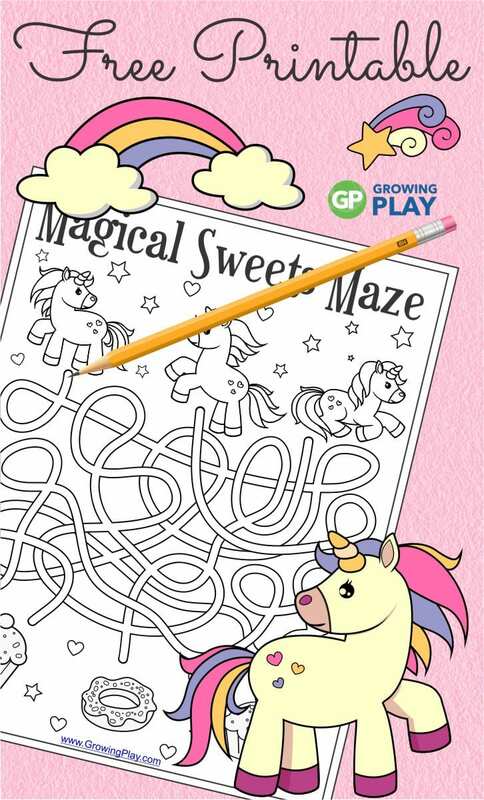 Start at the top of the page, pick a unicorn, and draw a path the correct sweet treat! anytime your child unplugs – I like to have a collection of things for the kids to do when it is not screen time and I am busy. There is one rule – this collection of activities has to be all NO PREP so the kids can do it on their own without help. Looking for more Unicorn activities? If you are in search of some fun, colorful unicorn treats but are not looking to spend hours in the kitchen? Maybe you are planning a unicorn party and need some unicorn snacks in a hurry. Here are DIY unicorn treats that are cheap and simple to create and you don’t even need to cook them! Check them all out here. 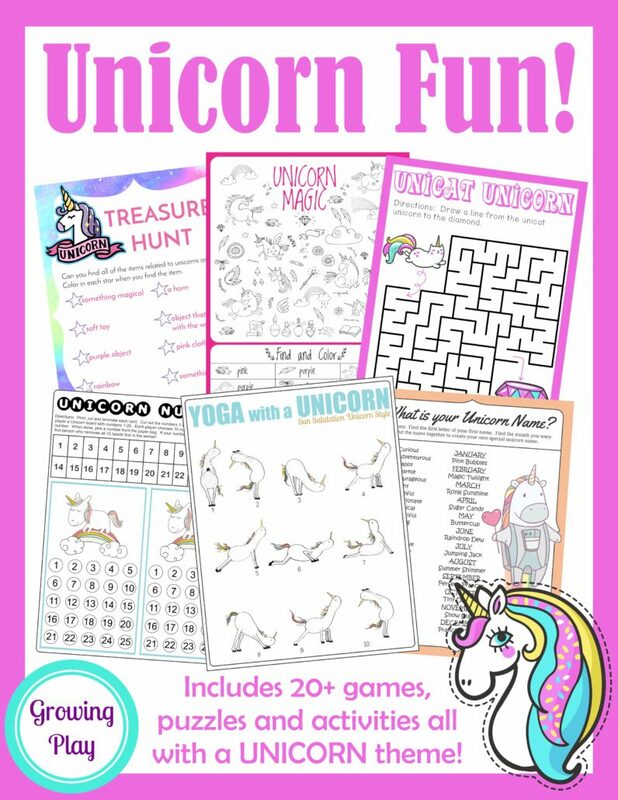 Unicorn FunThis digital download includes 20+ games, activities and puzzles to encourage playtime, visual perceptual skills and physical activity. 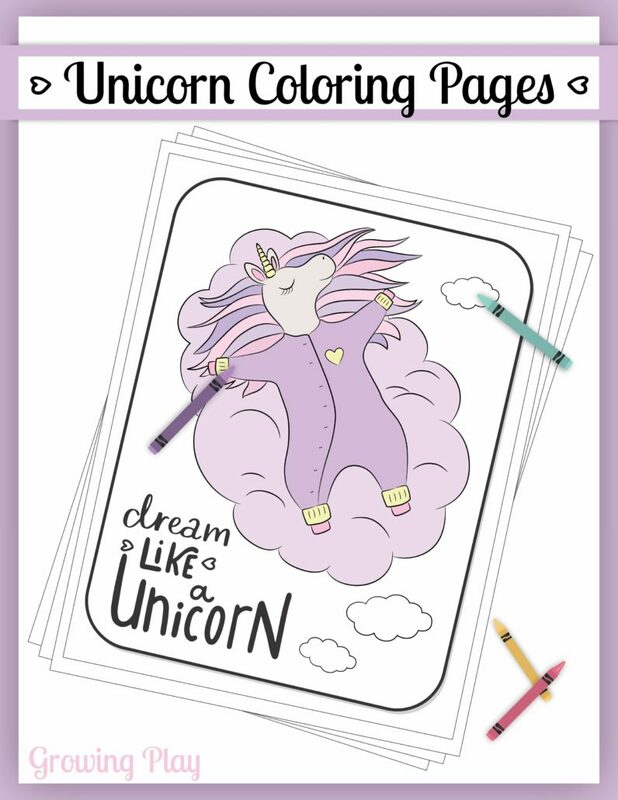 Unicorn Coloring Book This super cute Unicorn Coloring Book (digital download) includes 12 adorable black and white unicorn pictures with phrases to color. Plus, one BONUS birthday coloring page. You can even edit the name to include your child’s name right on the Unicorn birthday coloring page. 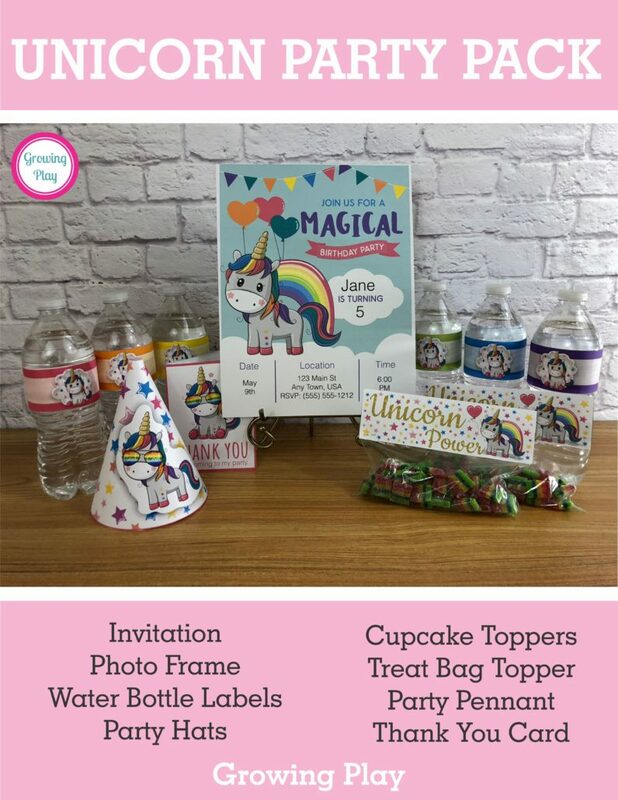 Unicorn Party Pack This digital download includes an invitation, party hats, water bottle labels, cupcake toppers, photo frame, party banner, treat bag toppers, and thank you card. 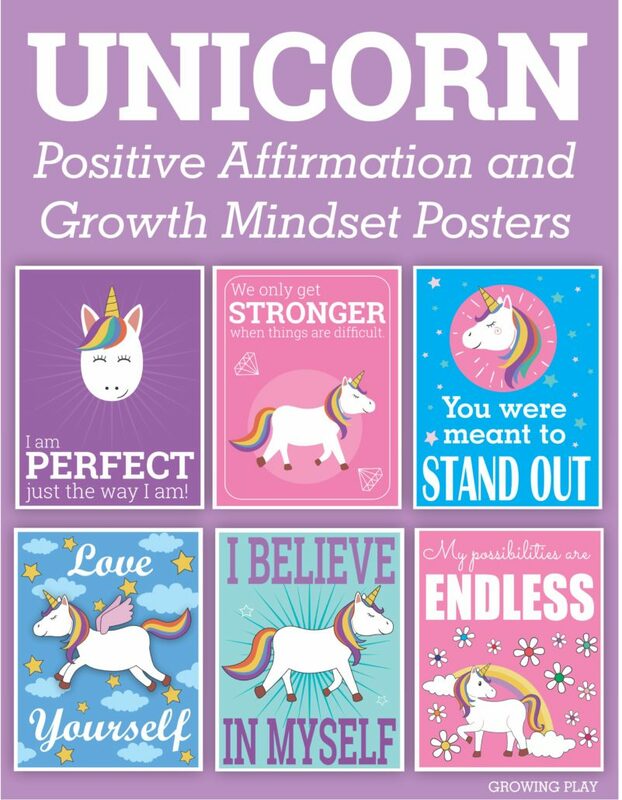 Unicorn Positive Affirmation and Growth Mindset Posters The digital download Unicorn Positive Affirmation and Growth Mindset Posters include 25 posters to encourage a positive mindset and outlook on life. Boost self-confidence and improve your mindset with these full color 8.5″ by 11″ posters to print and hang up in a classroom, bedroom, playroom or anywhere a unicorn lover hangs out! Sign up to receive the weekly Growing Play email newsletter and announcements. You will be redirected to the FREE printable. If you can not see the sign-up box, send us an email at info@growingplay.com referencing the freebie and we will email it to you.